Looking to travel somewhere new? Oklahoma City’s Bricktown could be the next stop for you. Repurposed from a former warehouse district, the energetic neighborhood is an up-and-coming entertainment district where there’s plenty to keep you busy. Whether you’re looking for family-friendly fun, a night out on the town, or anything in between, you’re bound to find something here. Check out the list below for some of the best things to do around Bricktown. Root, root, root for the home team. 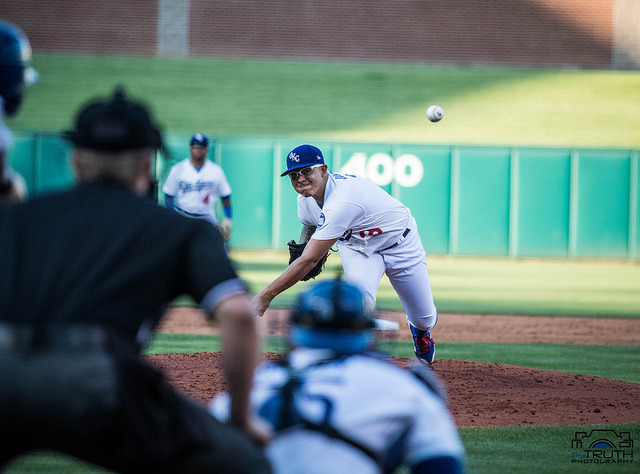 Baseball fans are in luck, as Bricktown is home to the Chickasaw Bricktown Ballpark, where you can catch a game featuring the Oklahoma City Dodgers. While this is a minor league team, the Dodgers are rated Triple A. That means they play at the highest level in Minor League Baseball. From April through September, the Oklahoma City Dodgers play a total of 71 home games, but even if you can’t catch a game, you can still check out the ballpark for other events. Some off-season events include OKBio BrewFest, dodgeball tournaments, and massive barbecues. The interiors of industrial warehouses definitely make for interesting entertainment scenes, and they also make welcoming settings for Bricktown’s bars and restaurants. From classic comfort food to fine dining, you’re sure to find something you want to eat in Bricktown. Maybe you’re looking for a local bar to grab a drink. If so, you can find local breweries and cocktail bars on almost every corner. To make things even better, you can find live music at places like Malarkey’s Dueling Piano Bar or Michael Murphy’s Dueling Piano Bar. Grab a bite, get a drink, and catch a show. While Bricktown is on the rise, the prices of nearby hotels definitely aren’t. There are lots of great places to stay in and around the district, and the best part is that everything is within walking distance. Experiencing the nightlife in Bricktown couldn’t be easier, especially since you can walk to most of the bars, restaurants, and nightclubs without having to worry about a ride. Check out some of the affordable hotels in Bricktown. You can expect to see Marriotts, Sheratons, and Comfort Inns, among other national brands. This theater is part of a chain of entertainment venues that are all named after Dwight Harkins, and for good reason, too. Opening a movie theater at the age of 18 and helping to put out the first radio station to transmit multitrack sound are just a few of Harkins’ accomplishments. If the history isn’t enough to get you there, the movies will definitely pull you in. On top of all the recent blockbusters, Harkins Theatre also holds special events like weekly Tuesday Night Classics, when you can see timeless movies for $5. Bricktown is a small but mighty force in the entertainment industry. From the Oklahoma City Dodgers to affordable hotels to the awesome nightlife, Bricktown should definitely be on your list of places to visit.